The American Silver Eagle was first produced in 1986 and is now one of the most popular bullion coins in the world. The American Silver Eagle series is the only investment-grade silver bullion coin series produced by the United States Mint. The design of the Silver Eagle series, by a man named Adolph A. Weinman, was actually created in 1916. This design was originally used for the U.S. Half Dollar of that time known as the Walking Liberty Half Dollar. Each coin features a reeded edge and has a legal tender face value of one dollar. While the face value of these silver coins does not correlate directly with the intrinsic value of the coins, many investors engoy having goverment minted silver bullion mixed into their portfolios in order to diversify their holdings. Since 1986, the U.S. Mint has produced American Eagle Silver Coins in both Standard bullion state and proof finishes (with the exception of 2009 when no proof was made), making American Eagle Silver Dollars exceptional coins for collectors as well. 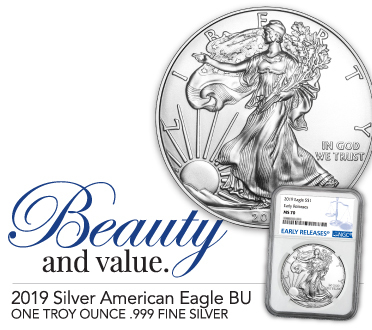 The weight (31.101 grams), content (1 troy ounce of silver) and purity (99.9% pure) of every Silver Eagle coin is guaranteed by the U.S. Government. 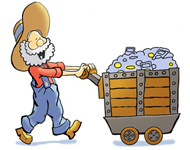 For several decades silver bullion coins have been a staple in both the investment and coin collecting communities. Many of the coins being passed down from generation to generation serving not only as a tangible investment or collectible piece, but also as a cherished, sentimental family heirloom. For many collectors, the attraction to collecting American Silver Eagles likes within the excitement of hunting down and owning one from every date created. In the investment world, American Silver Eagles are a very popular choice for several reasons. 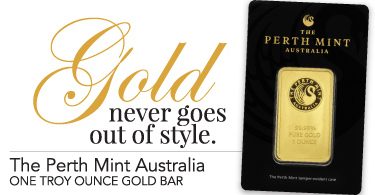 Not only are these bullion coins beautiful to look at and easy to store; they are also government minted. The fact that each coin has a government backed guarantee for weight, content, and purity is a big deal so some investors. Another perk to American Eagle Silver Dollars is that they are readily available in large quantities by most all well-known bullion dealers. This makes purchasing convenient and feasible for everyone!